Set in the city known as “the Oxford of the East”, IBS Pune has lived up to the reputation of the city by providing world-class management education. The rise of Pune as a corporate centre and its proximity to Mumbai means there is ample scope for applying classroom learning to real-life problems. Welcome to the world of IBS Pune. IBS Pune is the campus where we transform students into thought leaders with global perspective. We provide an environment conducive for sharing of experiences, problem solving, decision making, teamwork and entrepreneurship to imbibe necessary knowledge and skills for excelling in the global business arena. IBS Pune has always spearheaded the international placements within IBS group. More than 50% of the group’s international placements have taken place from IBS Pune. There is huge emphasis on enabling the students to excel in co-curricular and extra curricular activities in addition to the classroom exchanges among the students and between the students and the faculty. This has helped the students in developing themselves in well grounded allrounders who have brought laurels to IBS Pune by winning numerous prizes in sports, debating and cultural events in Pune and outside. The entrepreneurship cell (E-Cell) has been nurturing students in setting up their own businesses and turning them into job givers. In the last one year, our E-Cell promoted four student start ups, two out of which have begun their revenue streams. Our two year full time PGPM program is rigorous and demanding which will make you very confident to take on the business world with all its challenges. 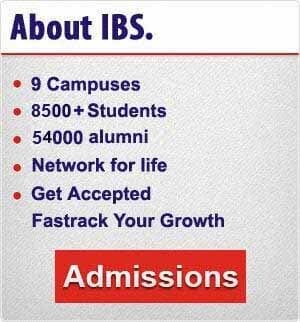 We invite you to come and join IBS Pune and share a joyous and remarkable journey with 600 other students on the campus leading to wonderful careers for each one of them. Axis Ad Print Media [I] Ltd.
J K Tyre & Industries Ltd.
Ranked 13thunder the category of Emerging Business Schools of Super Excellence by GHRDC-CSR Survey in 2014. Ranked 15th during Siliconindia survey –’What If Not IIMs! B-School Survey 2012′ on January 20, 2012. Ranked 48thby Business Today in October 2012. Careers 360 degree B-school ranking 2012 has ranked IBS Pune at 64.
Business & Management Chronicle B-School Ratings, 2012 rated IBS-Pune with A+ Grade. ‘A++’ by Business India in Oct, 2010. Asia’s B-School Leadership Award in the category “B-School Leadership Award” in 2012. Asia’s Best B-School Award in the category “Innovation in Placements” in 2011.
Business School with Best Industry Interface. Business School with Best Academic Input (Syllabus) in Operations & Manufacturing. AIMS International ‘Institutional Appreciation Award’ in 2008. A team of permanent faculty members, with extensive academic and industry experience and interests in research, publication, and consultancy transform the students into skilled managers. “Learn & Lead” program where we invite CXOs, regularly, to our campus to interact with the students. Industry visits are organized every semester especially before the Summer Internship to give exposure to the students. Student driven club activities and CSR initiatives. Alumni Get-togethers & workshops by eminent trainers for Alumni. Joint Research with international management faculty members by IBS faculty. Placement- Faculty teams to groom and guide students for SIP (Summer Internship Program) and Placement. Annual Management and Cultural Festival“ZEAL” is organized by students. Dr. GS Narsing Rao, the Director of IBS-Pune, received his B.Tech. in Electronics Engineering from IIT, BHU and Post Graduate Diploma in Management (PGDM) from Indian Institute of Management, Ahmedabad. In a career spanning 36 years, Prof Rao practiced in industries and sectors as diverse as Management Education, Consumer Electronics, Telecommunication and IT Enabled Services (ITES) such as Medical Transcription and BPO services, etc.Prof Rao’s long experience in several leadership roles in various industries have been well combined with his foray into full time management education. 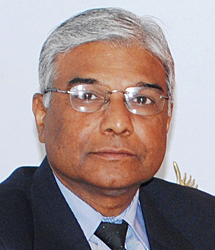 Prior to joining IBS-Pune, he worked as Dean and Chief Mentor (Siva Sivani Institute of Management), Dean (IBS-PCD, Hyderabad) and Chief Executive (Institute of Management and Global Education). 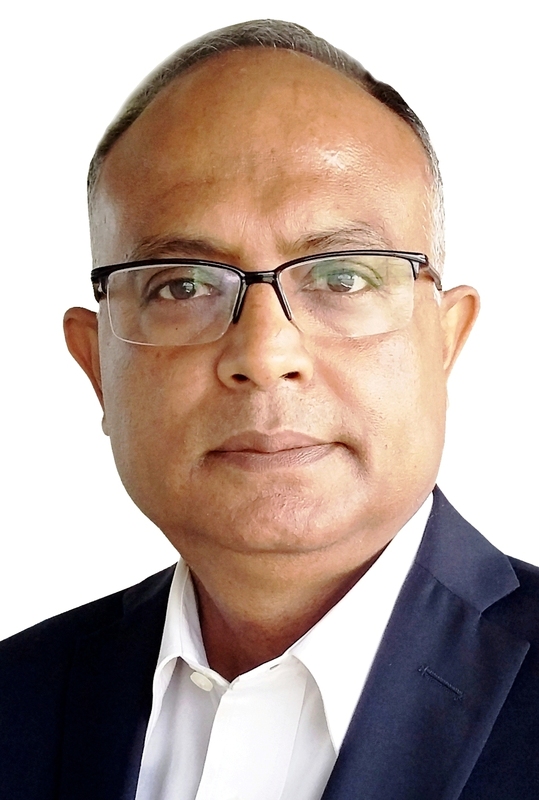 He had also been to SCMHRD, IMT (Nagpur), Wadia Institute of Management, Faculty of Management(Andhra University) and Aurora Business School as Visiting Faculty.Prof Rao specializes in Business Strategy and Marketing Management. He has regularly taught Business Strategy, Integrated Marketing Communication, Services Marketing, Industrial Marketing in addition to basic Marketing Management to the MBA students. He has also conducted training programmes in Bank of Bahrain and Kuwait, HAL (Koraput), NTPC (Vizag), ECIL (Hyderabad) involving middle and senior level managers. He served as Secretary, Vizag Information Technology Association for two years. He is also the Life Member of Hyderabad Management Association. Ph D, PGDHRM (HR), MMS (Systems), B.E. M.A (Econ), UGC-NET (Econ), M Lib I Sc. Sumit is an alumnus from the Class of 2001 of IBS Pune. He completed his Bachelor Degree in Business Administration before joining IBS for Management studies. He is employed with one of the leading companies in the Insurance sector Bajaj Allianz Life Insurance. He is designated as Deputy Area Manager and is based at Raipur. Kuldeep started his career with ICICI Prudential Life Insurance as a Unit Manager and within two years got promoted as an Agency Manager. From there he moved on to join HSBC. He is currently working with Anand Rathi Private Health as Vice President in Hyderabad. Kuldeep takes a self – affirmation every morning , that keeps him going. I shall shape my future; whether I fail or succeed shall be no man’s doing but my own. I’m the force; I can clear any obstacle before me or I can be lost in the maze; my choices, my responsibility – win or lose; only I hold the key tomy destiny.